Explanation: This image of Saturn could not have been taken from Earth. 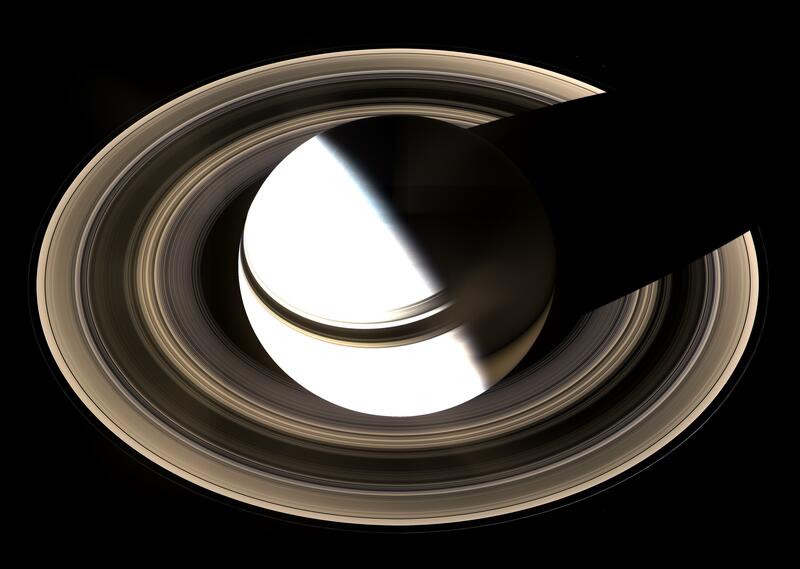 No Earth based picture could possibly view the night side of Saturn and the corresponding shadow cast across Saturn's rings. Since Earth is much closer to the Sun than Saturn, only the day side of the planet is visible from the Earth. 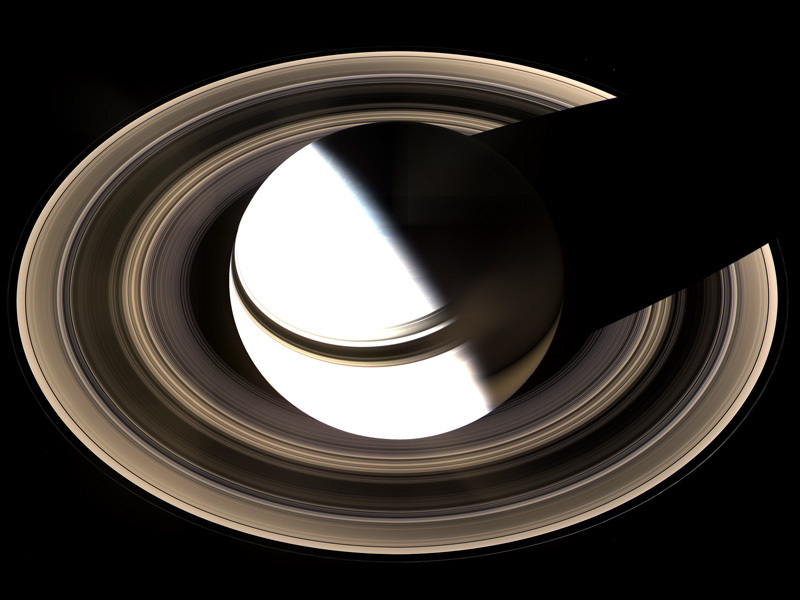 In fact, this image mosaic was taken in January by the robotic Cassini spacecraft now orbiting Saturn. The beautiful rings of Saturn are seen in full expanse, while cloud details are visible near the night-day terminator divide.